​Manchester City are confident of beating Chelsea and Juventus in the race for Barcelona starlet Ilaix Moriba in the near future. 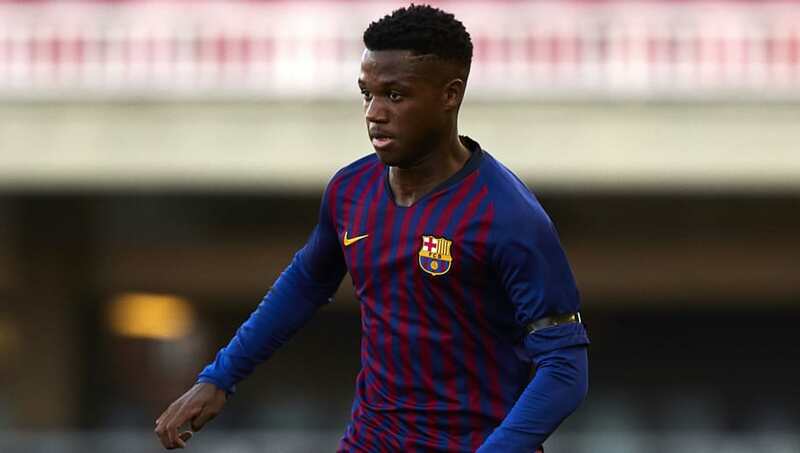 Ilaix, who turns 16 on Saturday, is one of the club's most exciting young players and has been a regular part of Barcelona Under-19's UEFA Youth League campaign this season. Once he turns 16, he will be eligible to sign his first professional contract. News of ​City's desire to sign Ilaix comes from Spanish outlet ​Sport, who state that Pep Guardiola's side have been heavily involved in negotiations with Ilaix in recent weeks and remain confident that they will be able to complete the deal soon. ​Barcelona have already offered Ilaix a lucrative contract as they attempt to convince him to say. Sport's report states that the offer is one of the highest that Barcelona have ever offered a young player, as they seek to avoid losing another of their young stars. However, it is thought that Barcelona's offer will still be one of the lowest that Ilaix receives, and they may face an uphill battle to convince the young midfielder to stay at the club. Both ​Juventus and ​Chelsea have also reportedly been negotiating for Ilaix's signature, and it is thought that a move to the ​Serie A is very tempting to the 15-year-old. Juventus have been incredibly active in their negotiations in recent weeks, but City still remain confident that they will be able to persuade Ilaix to sign. Should City manage to complete the deal, Ilaix would become one of several youngsters to have left Barcelona in favour of City. Midfielder Adrien Bernabe joined the club last summer, whilst the highly rated Eric Garcia moved to the Etihad in 2017. Despite his young age, Ilaix has drawn comparisons to the likes of ​Paul Pogba and City icon Yaya Toure, due to his impressive combination of physicality and technical ability. It is thought that Barcelona feel he could become one of the finer talents to emerge from their academy in recent years, and they are desperate to convince Ilaix to remain.